You've been studying for months, and now the day is finally here. The day of your SAT. Instead of switching to panic, just remember these 7 essential tips to keep your head cool and be successful. 1) Eat and drink before the test, but not right before. Eat a well-balanced breakfast and drink lots of water at least 1 hour before the test. You want to feel comfortable and at ease during the exam. 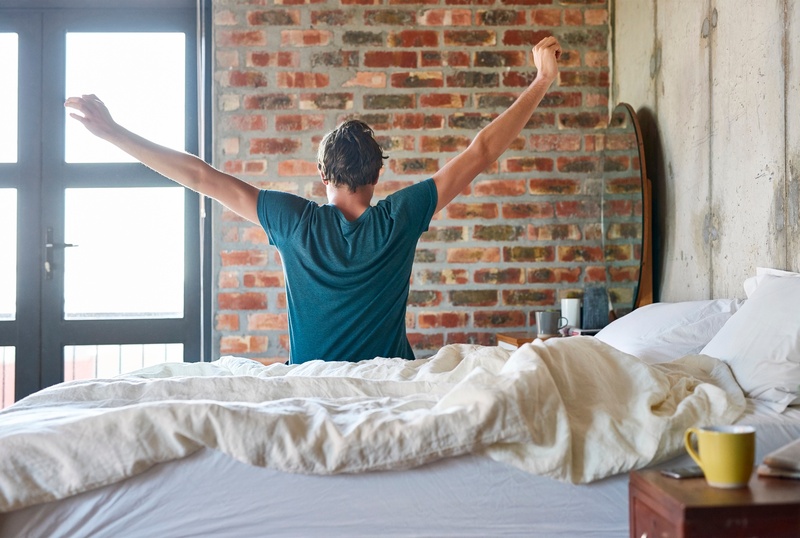 Don't deviate too much from your standard morning routine (i.e. don’t drink coffee if you aren’t used to it!). 2) Get in the mood. 3) Think through the test strategy that you have studied. Outline your test strategy so you can dive right in. Think about how you plan to approach the different types of questions you will see, as well as any recommendations for timing. Worried you don’t have a “strategy”? Jot down three things you would like to make sure you do during the test (i.e. read questions slowly, outline, double check answers). There. Now, you have a strategy. Every test has time constraints. Make sure you wear a watch so that you can keep track of your progress and slow down or speed up as you go. You don't want to be caught when time's up with only half of the exam finished! 5) Arrive early so you have time to get settled. Don't add to the pressure by feeling rushed on your way (or worse, getting lost)! Big caveat: even if you are taking a test at your own school, plan for the unforeseen (painting underway in a stairwell you always use as a shortcut…). The point is leave extra time – this is an easy win. Once you get started on the test, take your time reading the directions, as well as each individual question. Some students score lower on tests, not because they didn't know the answer, but because they misread the question or they felt rushed in responding. You’ve put in the hours studying. Don’t let your nerves get the best of you. Go in there and trust yourself! And, what if you haven’t put in the hours? Well, dig a little deeper and you will find that you know more than you realized. For what it’s worth, getting stressed won’t help at this point, so ride this one out. Who knows? Maybe you’ll surprise yourself! a lesson about studying more in advance next time!). Interested in getting set up with one of our amazing SAT tutors?